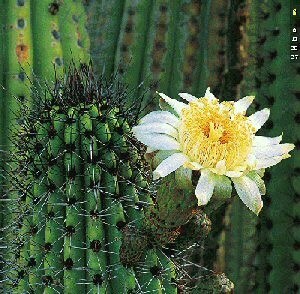 Behind the sharp thorns and unpretentious appearance, the cactus is a plant that is very useful. One is to purify water, as did the peoples of Latin America since time immemorial. In ancient times, the indigenous people of Mexico use a decoction of the leaves of a cactus to purify dirty water river, before it is processed into drinking water. Soil and other dirt particles directly Sludge mixed with stewed cactus. Behaviour of the population of Mexico was considered standard Alcantar, a technical expert in Biochemistry from the University of the South Florida. By the way, the own rule is a native of Mexican descent living in Latin America. "When boiled cactus, which is mucilago sap out thick and sticky glue like," Norma said, quoted by Discovery. For the cactus plants, mucilage is protective against the Sun. This substance prevents the evaporation of water from the surface of the cactus, these plants can survive in environments with scarcity of water as the sand of the desert. When mixed with dirty water, mucilago consisting of sugar and carbohydrates that bind fine particles that pollute the water. Bond then to clot, so easily separated from clean water. Norma also examines how mucilage is removed arsenic water, dangerous contaminants from industrial and agricultural waste. Arsenic can cause cancer may also be linked by mucilage, a large enough molecule so that it can be filtered by the sand. Not only that, mucilago also can kill bacteria which is one of the dangerous pollutants in drinking water. Not yet known exactly how the mechanism, but Norma mucilago claims to produce clean water that is 98 percent free of bacteria. Based on these studies, he developed a system of water purification using a filter which contains mucilago. It is very economical because mucilage fresh of a type of leaf Cactus (nopal cactus), which is wide enough to purify the drinking water for the needs of a family for 5 weeks.